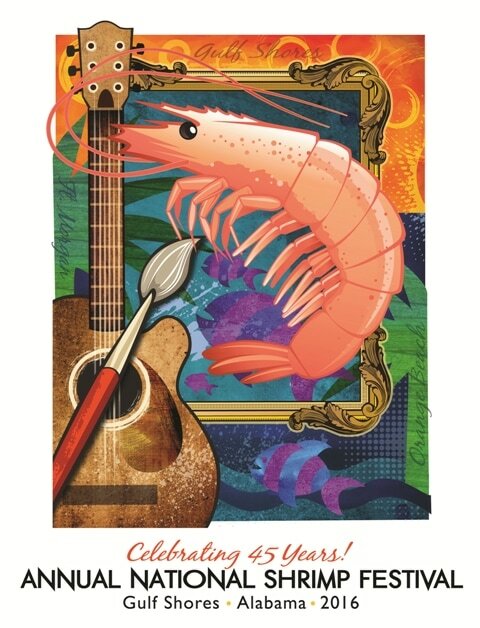 The Coastal Alabama Business Chamber is accepting poster designs for the 46th Annual National Shrimp Festival. We invite you to submit a poster design that incorporates certain criteria and elements – see printable rules. The winning poster will become the property of the Coastal Alabama Business Chamber and will be the official artwork for the Chamber’s merchandise at the festival. The winning artist will receive $1,000.00.